22286 Features: -Material: Glass. -Hand washable. -Color: Clear. Product Type: -Beverage dispenser. Color: -Clear. Material: -Glass. Style: -Traditional. Dimensions: Overall Height - Top to Bottom: -24 Inches. Overall Width - Side to Side: -8.6 Inches. Overall Depth - Front to Back: -8.6 Inches. Overall Product Weight: -13.35 Pounds. For those who love to entertain. 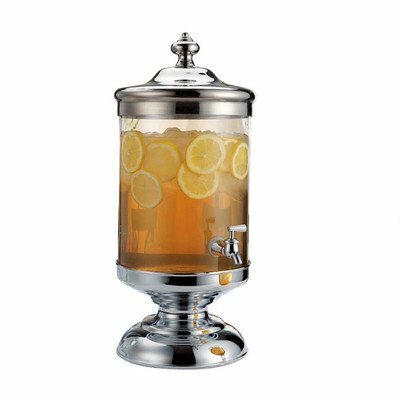 Fill your beverage dispenser with ice tea, or any one of your favorite cold beverages. For cold beverages only. Hand wash only. If you have any questions about this product by Godinger, contact us by completing and submitting the form below. If you are looking for a specif part number, please include it with your message.